The winter months usually deal with demand and how much of the harvested crop is sold on a weekly basis. The summer months often have a barrage of weather problems that can keep corn traders on edge with every updated weather report. However, it is the December futures contract that is the new-crop contract each year and it tends to see the most price volatility during the growing season. The first report to monitor in the spring is the Planting Intentions report from the USDA. This report is released at the end of March. The Planting Intentions report tends to set the tone for the market for the season. It tells us the amount of acreage that farmers intend on planting for each crop. The fewer acres planted, the lower the chance of a large crop. Most analysts will take the number of acres and multiply it by a trend yield to get the expected size of the crop for the season to project the entire size of the crop. Demand is the next part of the equation when trying to figure a future valuation for corn. About 40 percent of the corn crop goes to ethanol production. Most of the remainder goes to feed livestock like cattle, hogs, chickens and other animal protein. Surprisingly, only a small portion goes to actual human consumption. Therefore, it is important to monitor the price of crude oil and gasoline which determines the demand for ethanol. A cheap corn price and a high price of crude oil often can lead to an increased demand for ethanol. The USDA releases an export report every Thursday, which details the demand for corn exports. A strong export market is often favorable for corn prices to move higher. It is also advisable to monitor the price of corn from other exporting countries. If the price of U.S. corn is much higher than other competing countries, then the chances for a strong export market will diminish. The summer months are when trading corn futures takes on another dimension. The high price for corn is often set between late June and August for corn. This is mostly due to weather scares that happen during the height of the growing season when crops are most vulnerable. Extreme heat and droughts in the Midwest are the biggest fear for farmers and corn traders. Mid to late July is when corn goes through its critical pollination phase. Corn needs moisture and moderate temperatures to ensure a healthy and high yielding crop at this phase. Extreme heat near 100 degrees and dry soil will damage crops leading to lower yields. 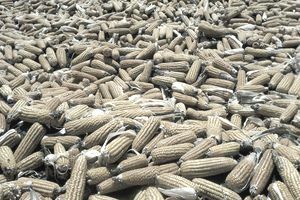 Crop damage causes the price of corn to rise. The main states to watch for weather reports are Iowa, Nebraska, Illinois, Indiana, and Ohio. These are the largest corn-producing states. There are often pockets that affect smaller regions, but once and a while there will be a widespread drought and heat wave. These are the conditions that can cause the price of corn to skyrocket. Most of the instances are just weather scares where little material damage is done to the overall crop. The market will often move higher briefly only to return to a lower price once the fear of crop damage subsides. More often than not, it is a good idea to look for selling opportunities during the summer months on these rallies. However, every couple of years the fears of crop damage result in price increases that can be explosive. In 2012, a drought took the price of corn to an all-time high. Corn has a seasonal tendency to peak in price during late June or early July. When there is a serious problem with a corn crop, the market tends to panic and buying can cause corn prices to move to a very high level. However, demand tends to fall substantially when prices rise to an extreme. It is the market's job to find a price that will stifle demand in order to ration supplies. The process often happens quicker than one would expect. It is often difficult to sell corn when you see droughts wreaking devastation with every passing day, but there will be a high in price somewhere where corn will turn lower because of demand destruction at a higher price. By contrast, corn prices often make their lows around harvest time. The harvest usually falls around November. Harvest is when the largest supplies are available and many corn farmers are selling their cash crops. Corn prices tend to have less volatility during the winter months, while exports and demand are the main factors when it comes to the price volatility of corn.